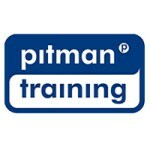 Courses provided by Pitman Training Centre Dublin are listed on Nightcourses.com – Ireland’s largest course finder! For 25 years Pitman Training in Dublin has being helping people change careers, finding jobs, gaining promotions, returning to the workforce and learning new skills. Pitman Dublin has provided a flexible, friendly approach has allowed thousands of our students to develop the skills that employers seek as well as finding the confidence they need to progress. From Medical and Legal Secretarial courses through to IT and Accounting as well as Media and Graphic Design Pitman provide the full range of office skills and computer training required for today’s busy workplace. Pitman Training offers an educational environment that enables the student to build confidence to change and give employers the eagerness to take you on, knowing that you have the skills they want, to a commercial standard.